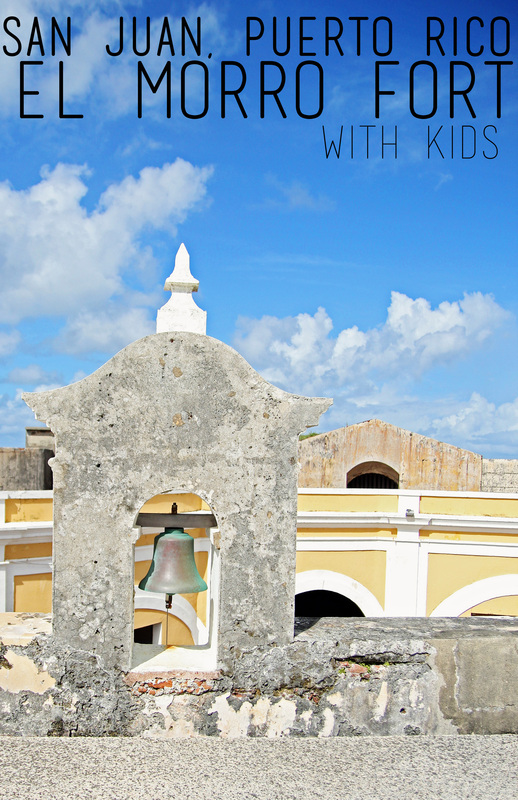 El Morro Fort with Kids | San Juan Puerto Rico | Cruise - It's Gravy, Baby! 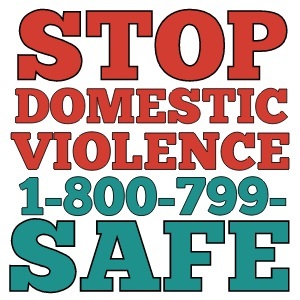 In December, we boarded the Carnival Sunshine with 5 kids ages 16, 15, 8, 6, 4 and set sail. Based on our cruise experience the previous December, we chose another 8 day itinerary only this time we added a port bringing our total to 4 port days and 4 sea days. The San Juan, Puerto Rico cruise port had just re-opened after being heavily damaged by Hurricane Maria. Much of the island was still without power and the trolley system wasn’t up and running yet. 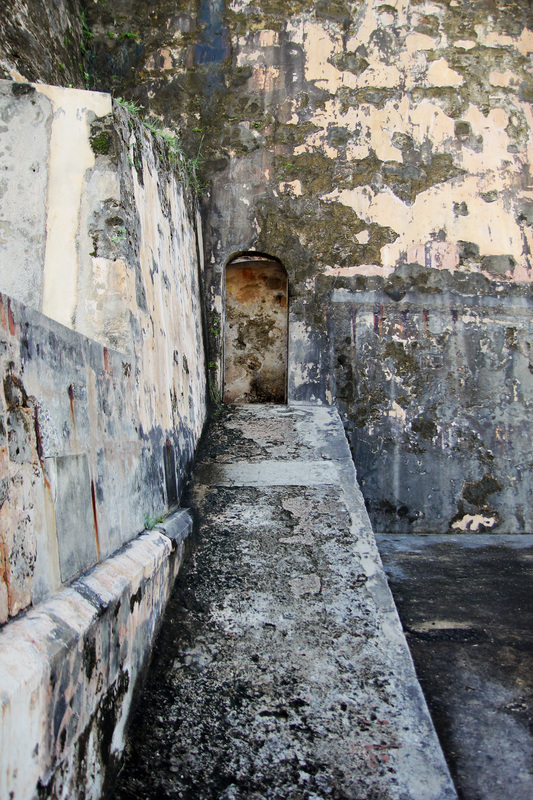 Old San Juan was more than ready for tourists to return. 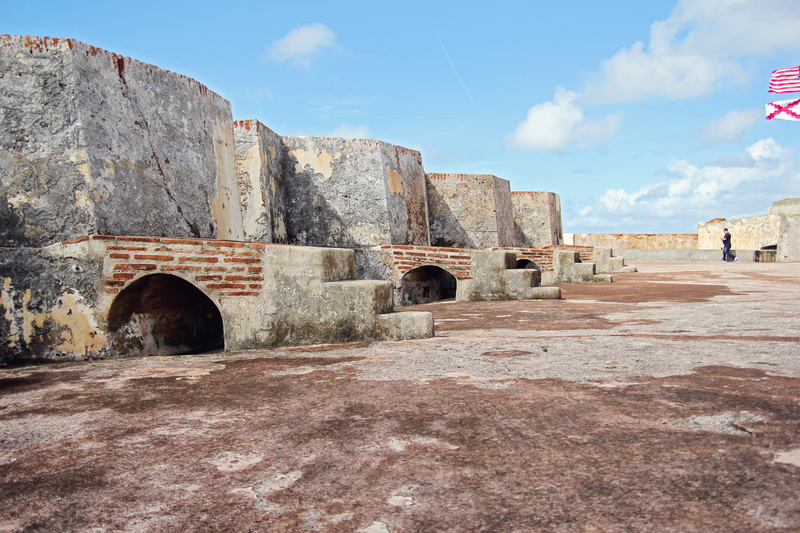 Both El Morro and San Cristobal forts were open. We debarked the ship with plans of hopping on the free trolley and going to the forts. It didn’t take long to realize that the trolley hadn’t reopened so Plan B was to find a cab. The walk to Castillo San Felipe del Morro also known as El Morro isn’t that far from the cruise port, but it is mostly uphill. 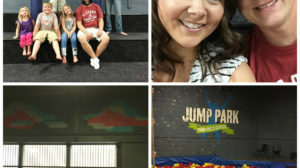 Our kiddos would have been tired and whiny before we made it, so it was worth the small cost to take a cab there. 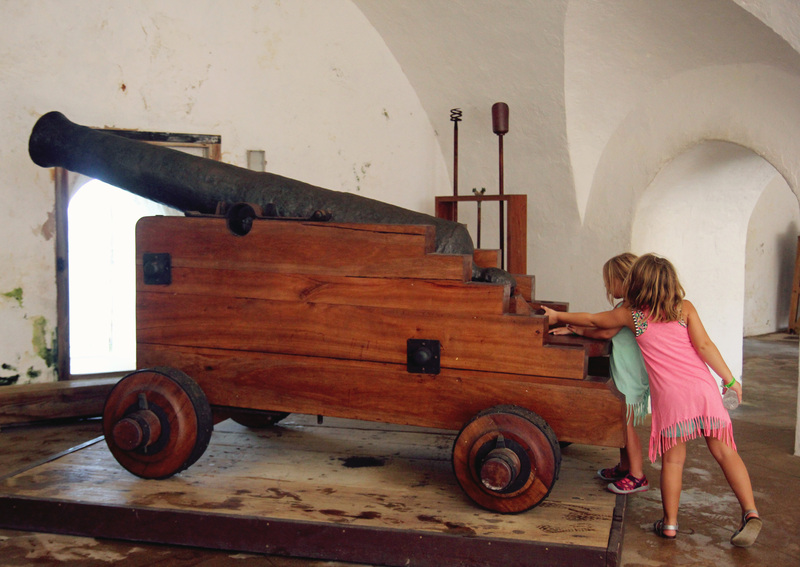 Don’t waste your money on an expensive excursion through a cruise line if you want to visit the forts. 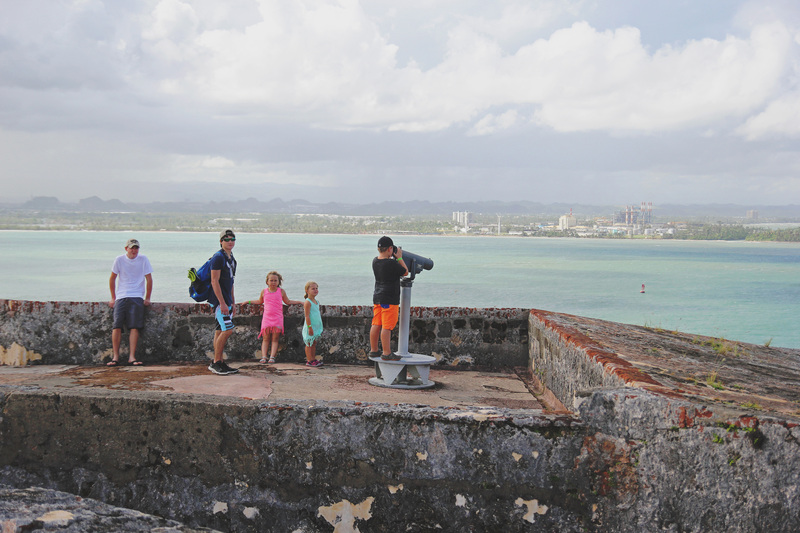 I had researched enough to know that the forts would be an interesting stop on our trip adding an educational aspect, but until we were actually standing outside Castillo San Felipe del Morro, I had no idea how absolutely massive it is. We brought our backpacks prepared to hit the beach after viewing the forts. That didn’t happen. We could have left all of our gear on the ship and had a lot less baggage while exploring. In my 5 cruises, this is the first port that I haven’t ended up on a beach. 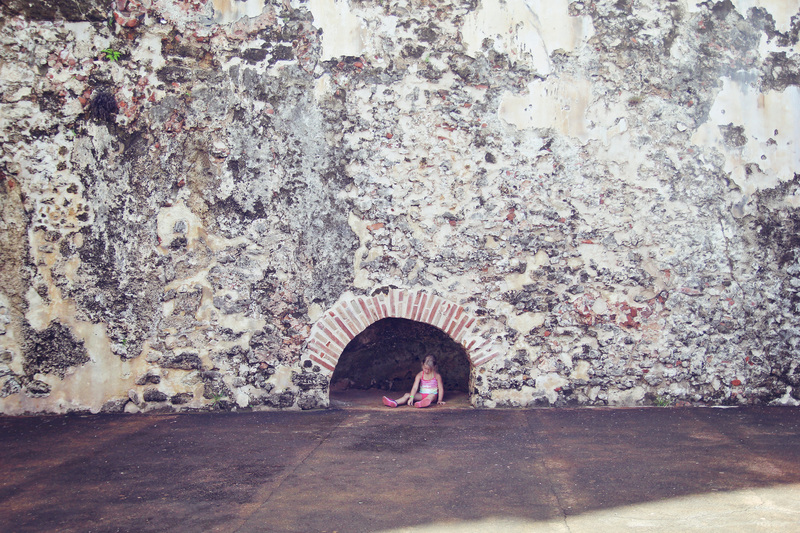 We spent hours exploring the 6 level fort and I’m pretty sure we didn’t see it all. 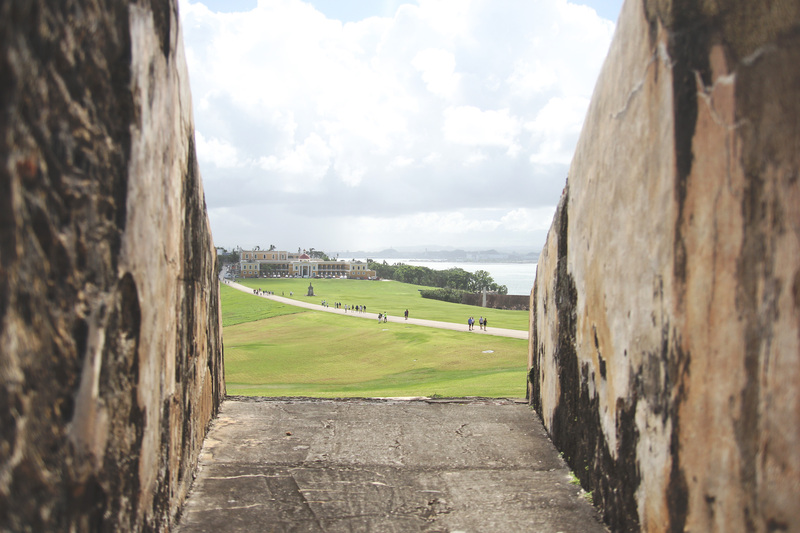 If you love history, El Morro is a must see. 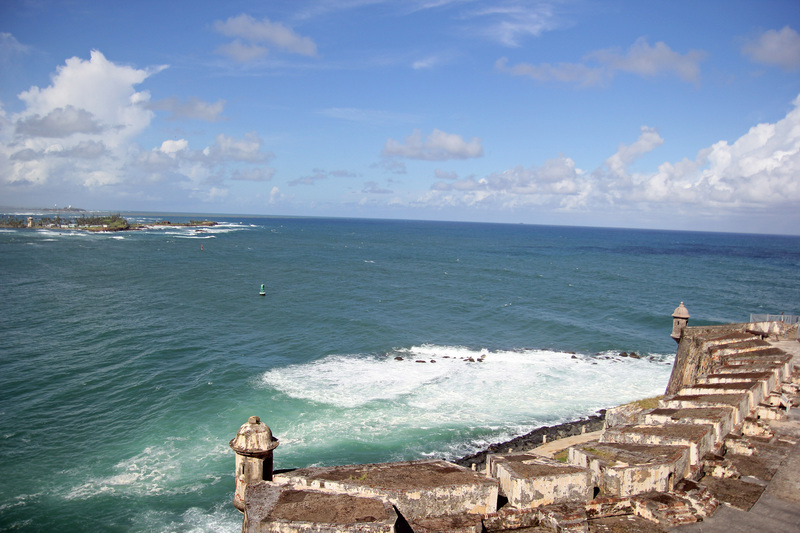 To my surprise, Puerto Rico ended up being one of our favorite cruise ports thanks to El Morro. 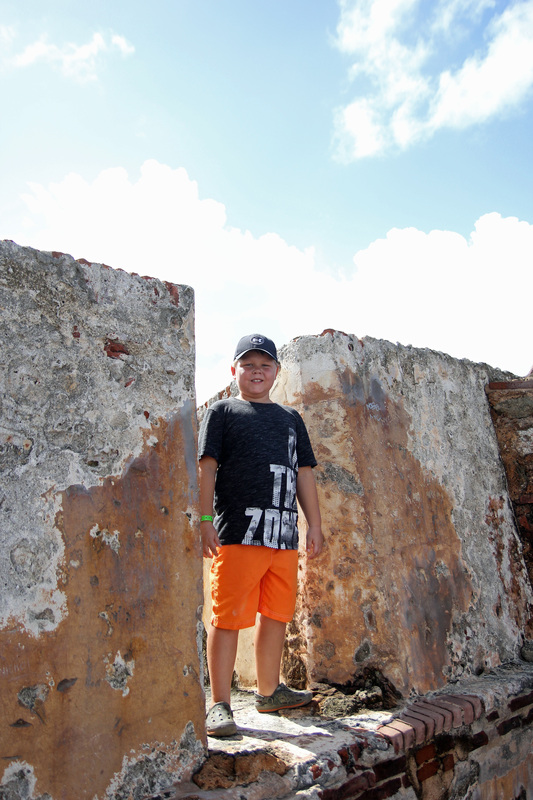 Bryson who turned 9 the day after we returned from our cruise wants to go back to Puerto Rico and says El Morro was his favorite part of the cruise. 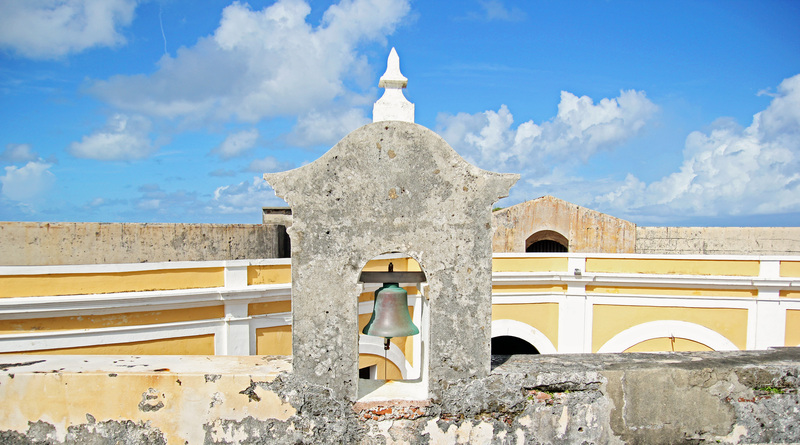 I wish we would have had time to visit San Cristobal which is a short walk from El Morro. We did see it in passing, but did not go in to explore. 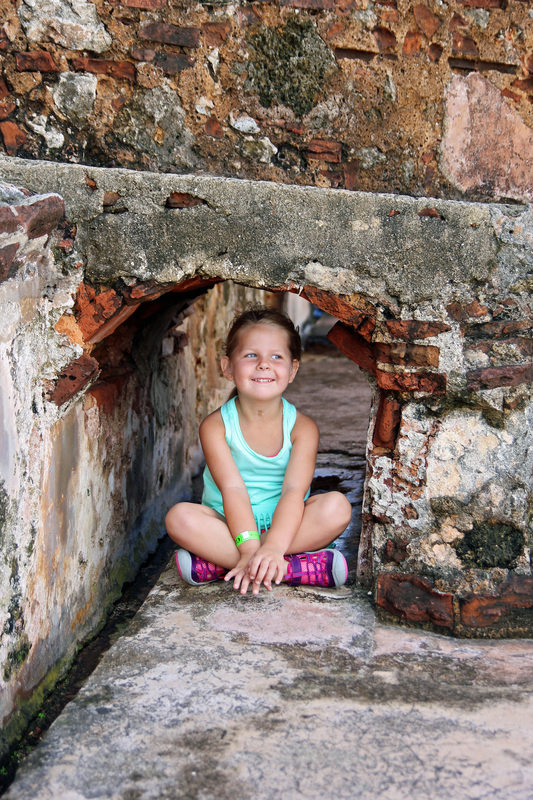 I found Puerto Rice to be an extremely kid-friendly and educational cruise port. It’s one that we definitely plan to visit again. 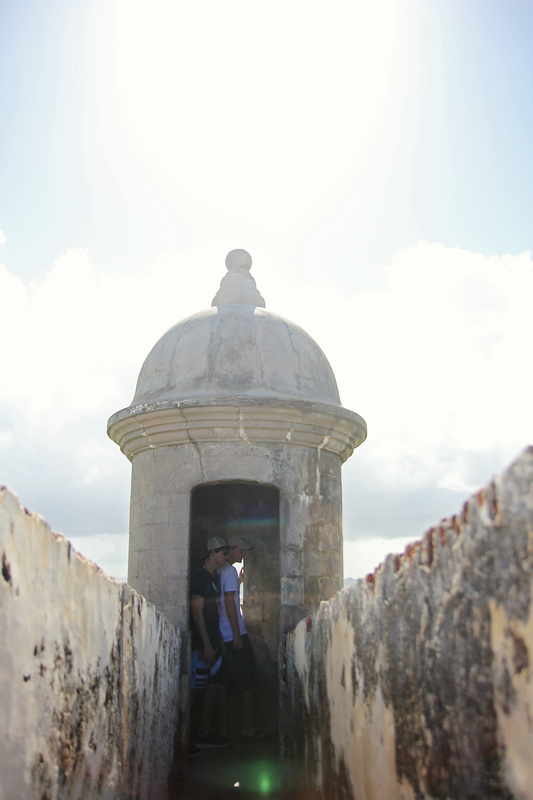 Over two million visitors a year explore the castillo. It’s so large that I can’t imagine it ever feeling crowded though. 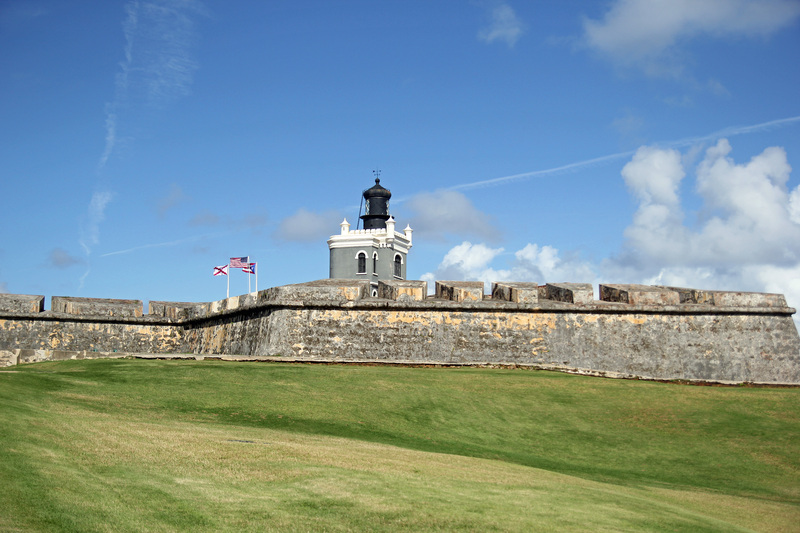 El Morro is well taken care of as a San Juan National Historic Site and part of the National Park Service. As a mom, I was concerned about restroom availability. 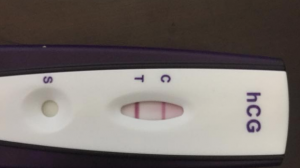 With 5 kids, someone was definitely going to need a bathroom break before we finished our tour. There are bathrooms as well as water fountains. 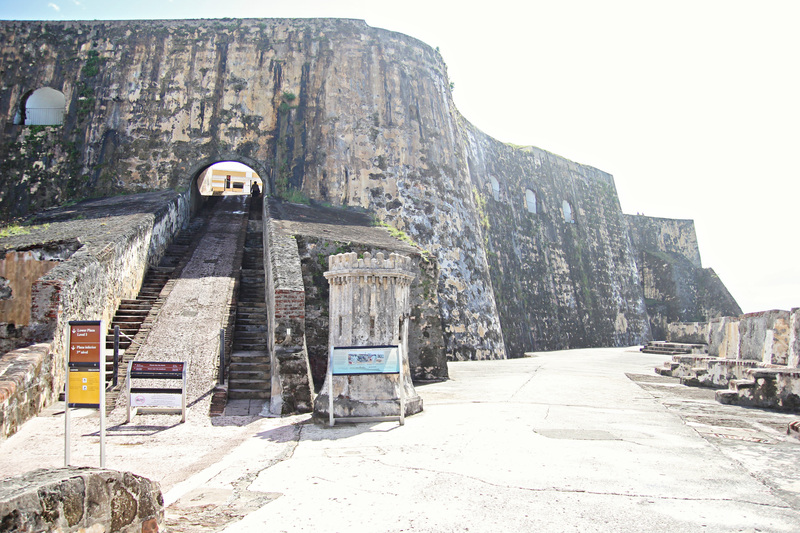 You can purchase souvenirs, snacks, and water in the gift shop located inside El Morro. 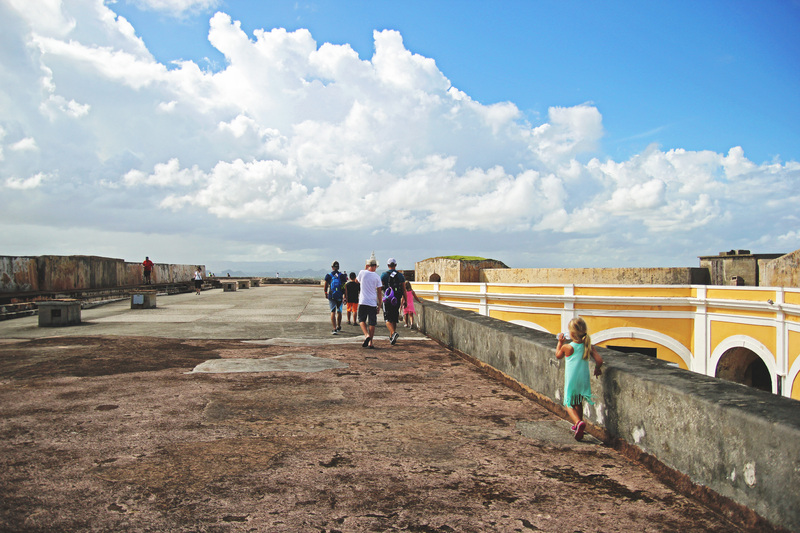 If you have little ones who aren’t yet ready to walk long distances, climb stairs, and navigate steep surfaces, I highly recommend babywearing while you tour El Morro. 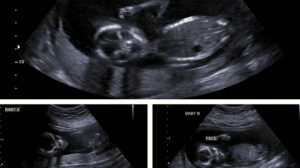 While you can bring a stroller, there are a lot of areas that require steps so be prepared to leave your stroller unattended or miss out on much of the fort. 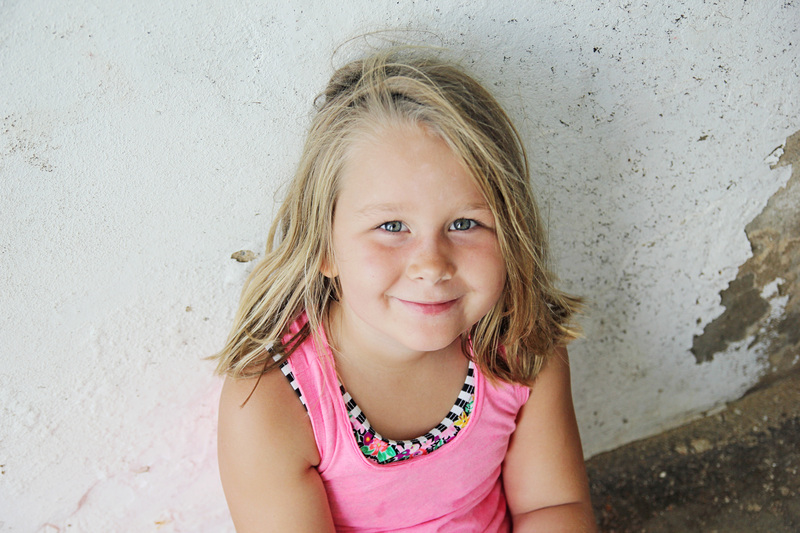 Brynlee who turned 4 while on our cruise was able to keep up with the rest of the crew with no issues. Because the tour is self-guided, you can explore at your own pace and take breaks as needed. It does get hot and you will get sweaty so bring water or grab some from the gift shop. 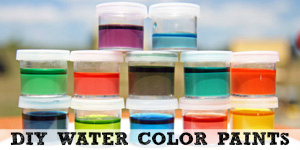 If you bring your own reusable water bottles or tumblers, you can refill those at the water fountains. Be sure to wear your walking shoes too- either tennis shoes or athletic sandals and cool clothes. I wear my Teva Tirra Athletic Sandals on all of our trips. I’ve worn the same pair for almost 2 years now through 2 cruises, many trips to the beach and the mountains, hiking, exploring Savannah, etc. 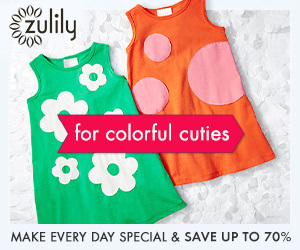 I only have the one pair in Simply Taupe and they are still going strong. If the photos throughout this post don’t give it away, I suggest bringing your camera. 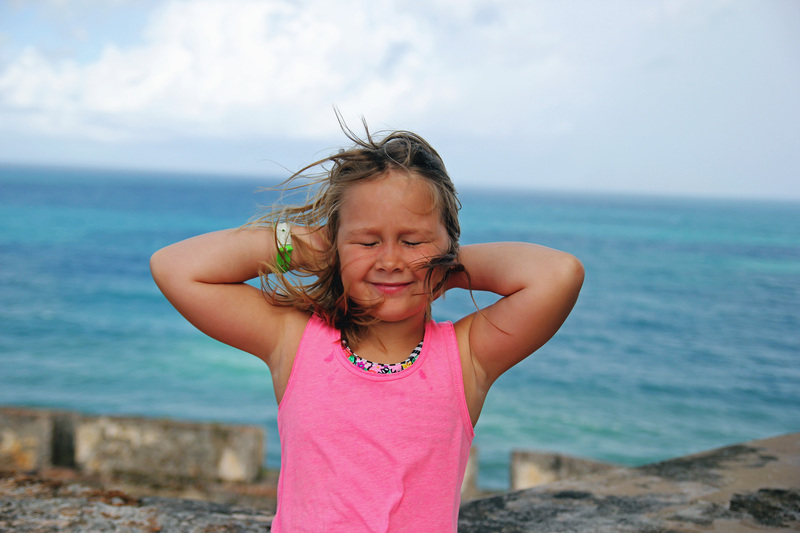 The photos I took at El Morro are some of my favorite photographs ever. 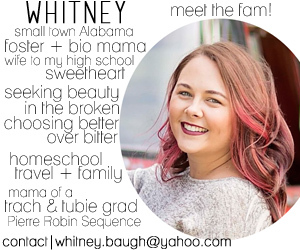 Not only is the place gorgeous in itself, but it made an amazing backdrop for photos of my people. If you are like me, you often depend on your phone to capture the moment because it’s convenient. 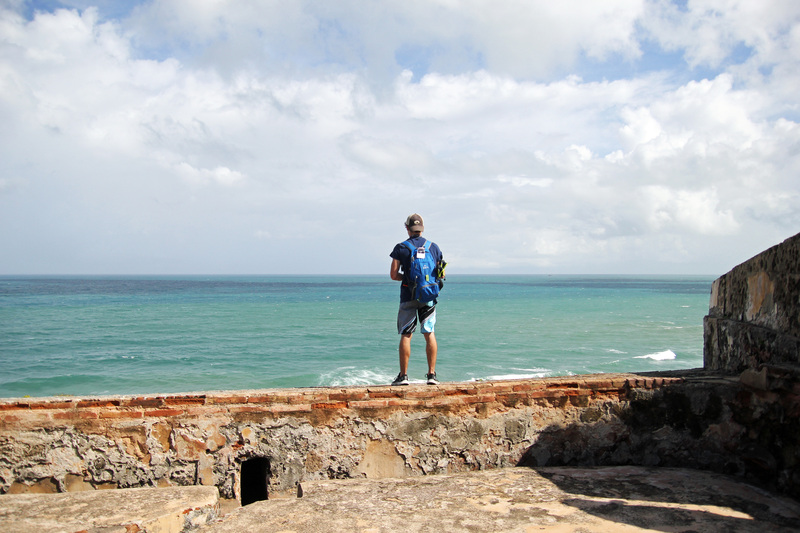 Hauling my larger DSRL around El Morro was totally worth it. I relied on my Ju-Ju-Be Backpack to carry everything I needed off the ship this trip and it worked so well. It held extra clothes, documents we needed, my wallet and Justin’s wallet, baby powder, sunscreen, bottles of water, and doubled as my camera bag. 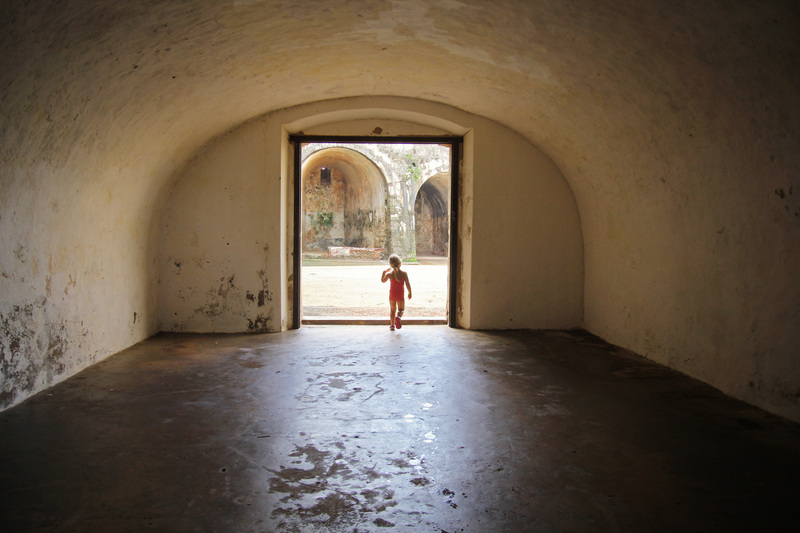 If it all possible, bring your camera to El Morro! One thing we’ll keep in mind for next time is to bring a kite! 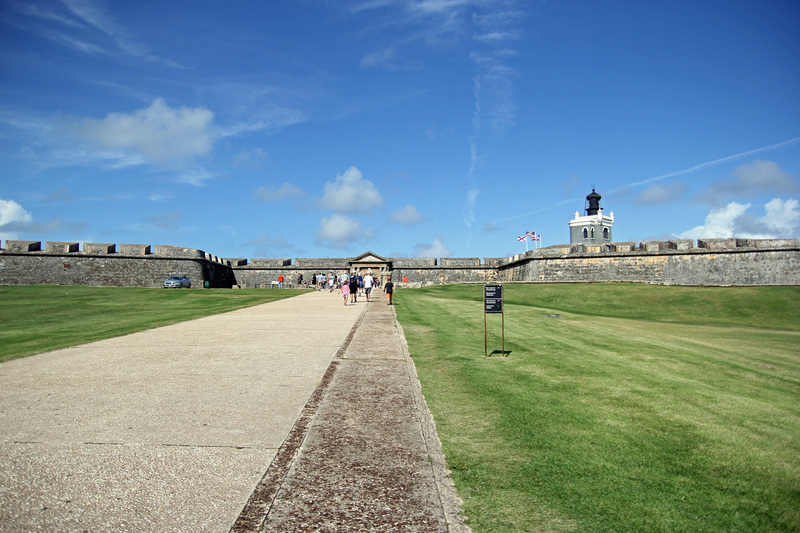 Kite flying is super popular on the grassy grounds of El Morro. You’ll also see people picnicking and just enjoying the scenery. It’s a great spot for people watching. 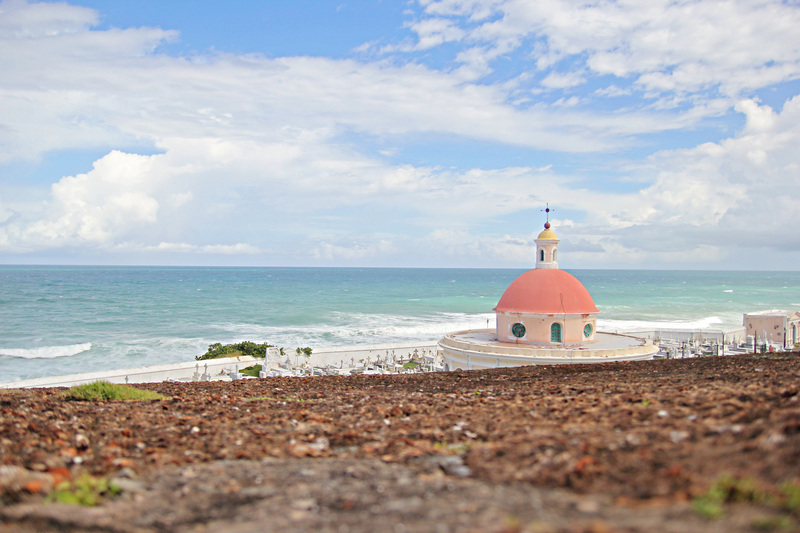 Across the gorgeous grass, the San Juan Cemetery overlooks the ocean. We visited it, but I’ll share that experience in another post. It was damaged during the hurricanes and was in dire need of repair and clean-up during our visit in December 2017. On our way out of El Morro, we were greeted by a not-so-friendly looking iguana. Of course everyone was quite fascinated with him, but I’m not sure the feeling was mutual. 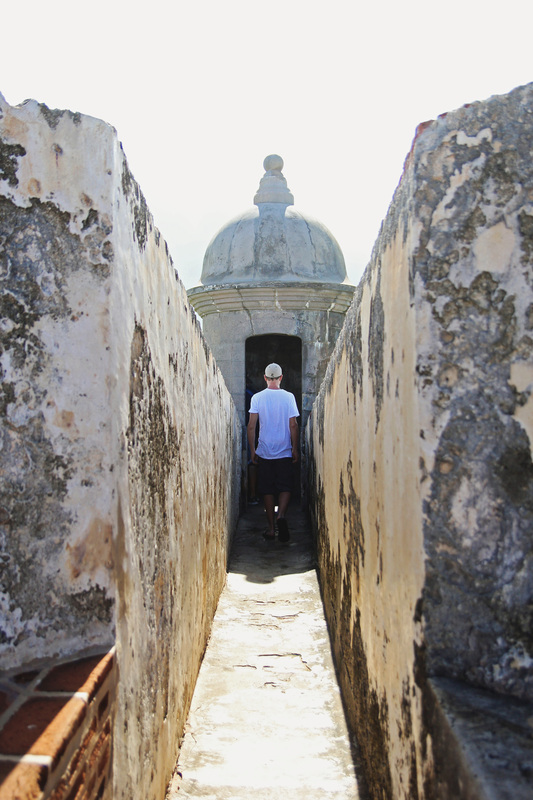 After exploring El Morro for several hours, we headed back to the cruise port. It’s an easy walk because it’s mostly downhill. 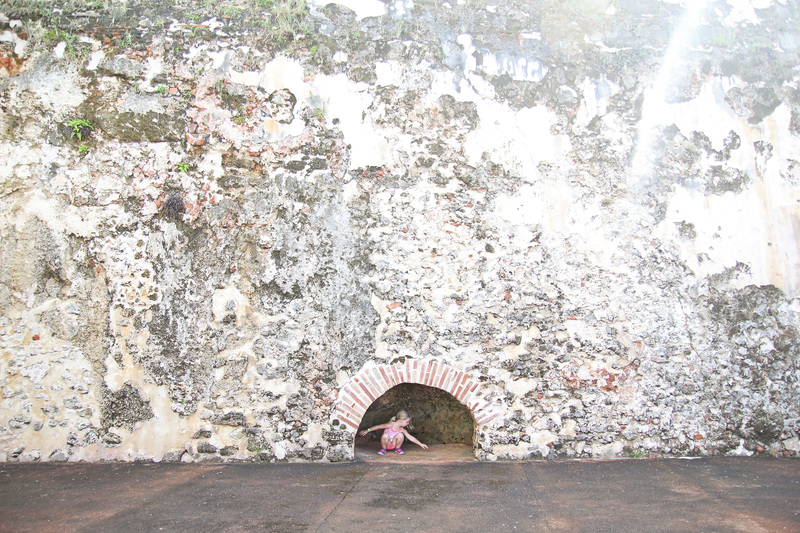 We made our way through Old San Juan which was super alive and active. The shops were open so the kids picked out some souvenirs while I purchased some items crafted by local artisans. Justin picked out a couple bottles of hot sauce. 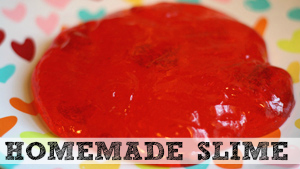 Spices and hot sauce are his thing- he tries something from everywhere we visit. 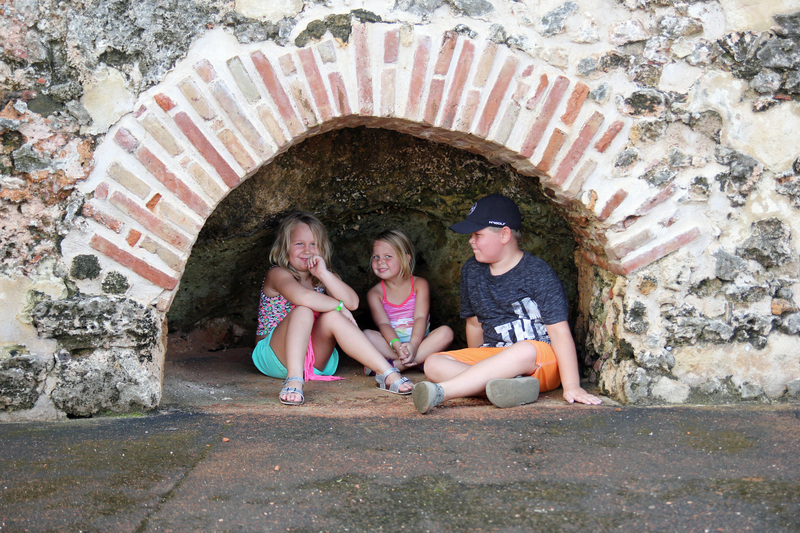 The cost to explore El Morro is minimal- only $5 for ages 16+ and free for children 15 and under. 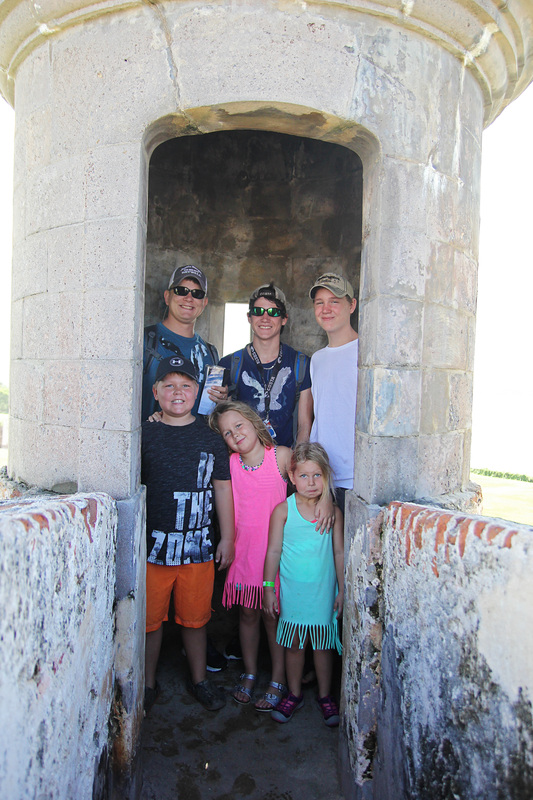 Both forts are open from 9AM to 6PM daily except for Thanksgiving, Christmas, and New Year’s Day. 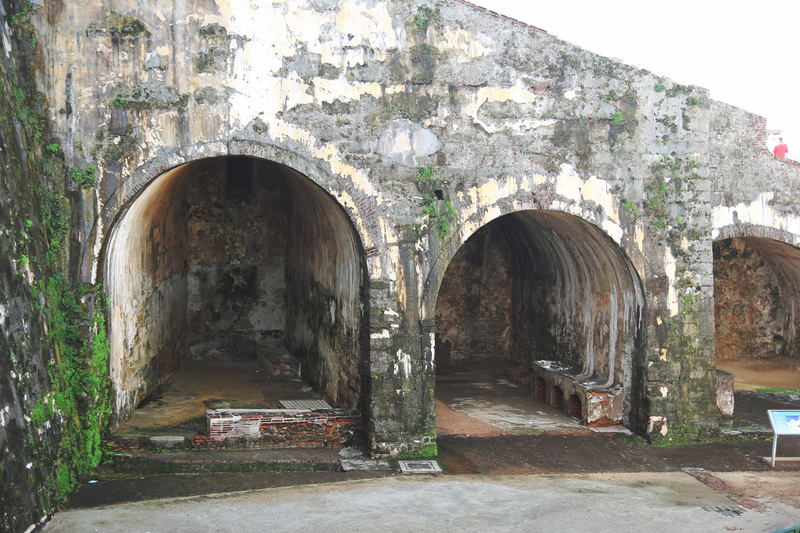 As I mentioned previously, the forts are a stop on the free trolley system that runs through the area. 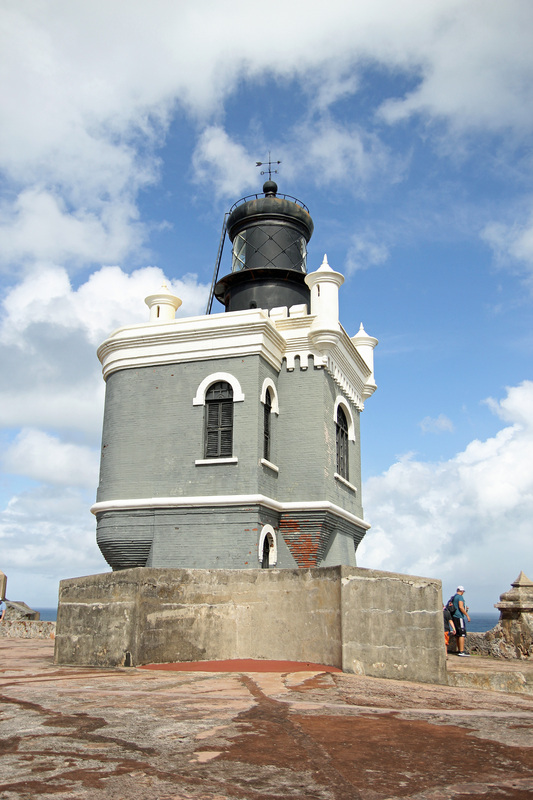 Of course if you are able, the easiest and best way to navigate San Juan is by foot.